The new 2019 Kia Optima sedan is now available for all drivers looking for a smooth ride at our local Orlando Kia West dealership. The new Kia Optima is redesigned to deliver all drivers an innovative and exhilarating drive. This is all thanks to the creative style and Drive Wise technology the Kia engineers have included in this impressive sedans. If you’re in the market for a new car, check out our local Kia dealership in Orlando, Florida to learn more about the new 2019 Kia Optima. Available in the new 2019 Kia Optima sedan is the 245 Horsepower 2.0L Turbo engine with steering wheel mounted paddle shifters. 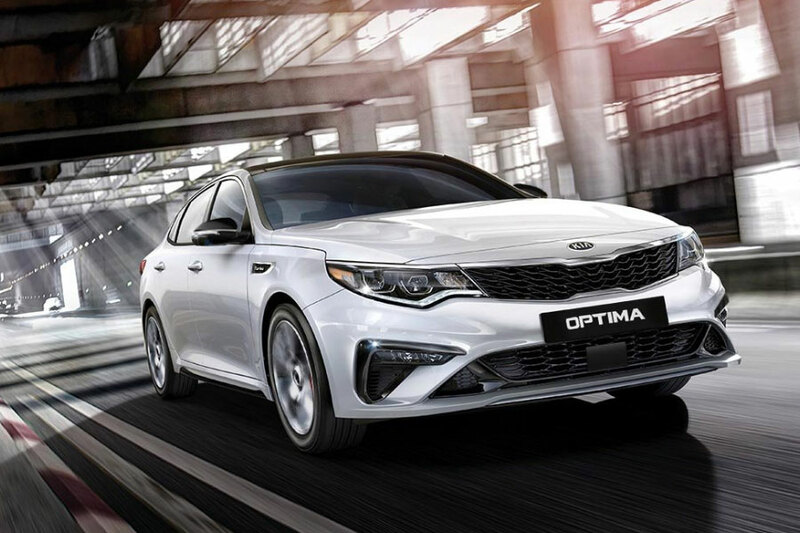 The Optima also comes with a sport-tuned suspension for a stronger connection to the road. It’s performance features like these that allow the new Optima an EPA estimated 31 MPG combined fuel economy. For those drivers from the St. Cloud, FL area who are interested in seeing the new Kia Optima up close in personal, schedule a test drive with our team at Orlando Kia West. When you take the new Kia Optima out for a test drive get a feel of the 7-speed Dual-Clutch Transmission on the open road. You can even talk to one of our friendly sales associates about the available Kia Optima Hybrid option. Stay well-connected on the road thanks to the available features included in the new 2019 Kia Optima. Inside the new Optima, drivers will find standard features like the Apple CarPlay™ and Andriod Auto™ suite of technology features. With these features, you’ll be able to make hands free texts, receive calls and listen to your favorite audio apps - all through your Optima’s touchscreen console. Does your vehicle have these technology features? Drivers can trade-in your current truck, sedan or SUV with our team at Orlando Kia West to get full value. When you trade-in your car with our team, take advantage of our online Trade-in Calculator to learn the value of your current vehicle. By trading in your car, you help to offset the cost of the new 2019 Kia Optima. When you are looking to drive off the lot in the new 2019 Kia Optima sedan, speak to our finance team at Orlando Kia West. Our friendly team at Orlando Kia West can help you find an auto loan that meets with your monthly budget. Plus, you can learn what your estimate of payments could be with our online Payment Calculator. Get a head start on the finance process by filling out a Credit Application to become pre-approved from the comfort of your bedroom. 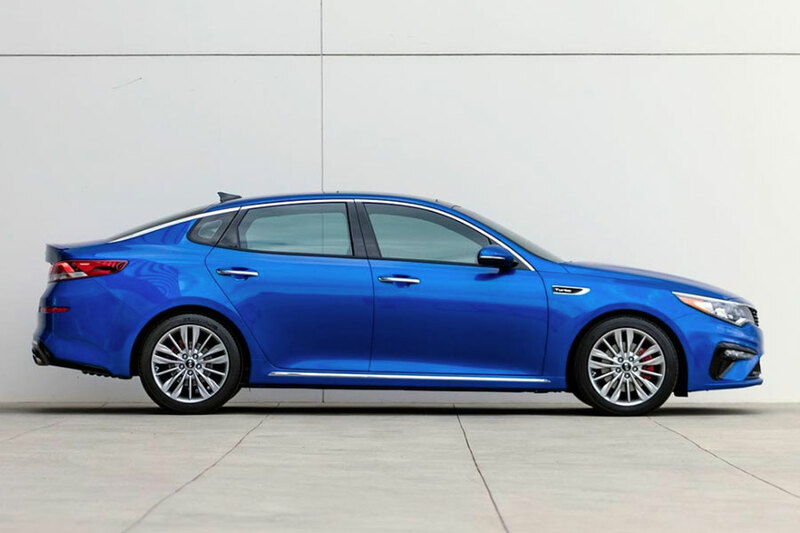 If you are interested in the new 2019 Kia Optima sedan, visit our team at Orlando Kia West. Our team is available to help you in finding the perfect vehicle for your needs. Whether you are looking for a new or used car, our Kia Dealer is ready to help you.